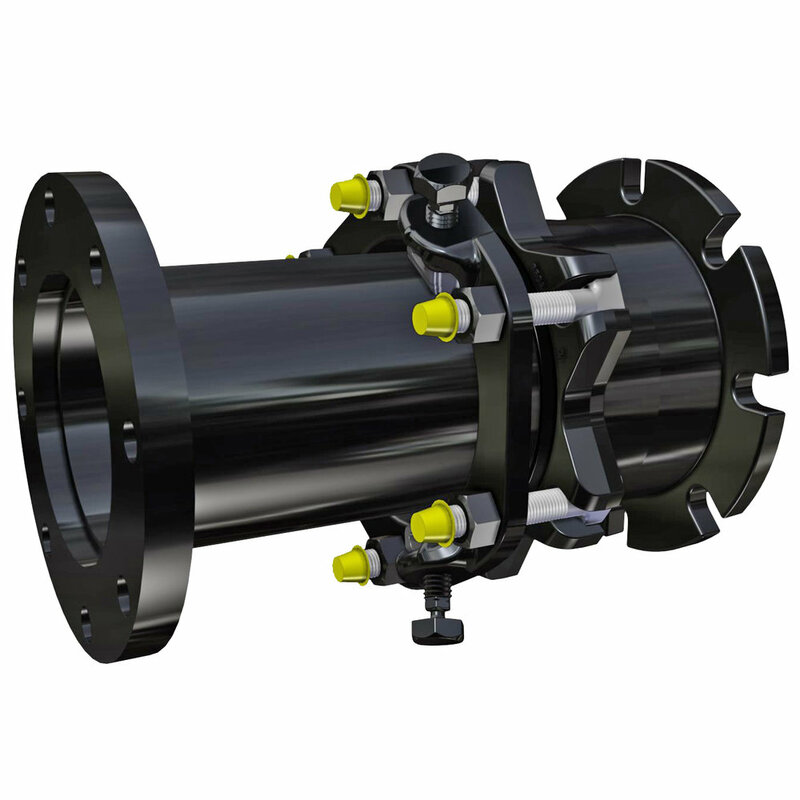 USE Provide offset, deflection and restraint for systems with misaligned flanges. FLANGES Compatible with ANSI Class 125 and 150 bolt circles. 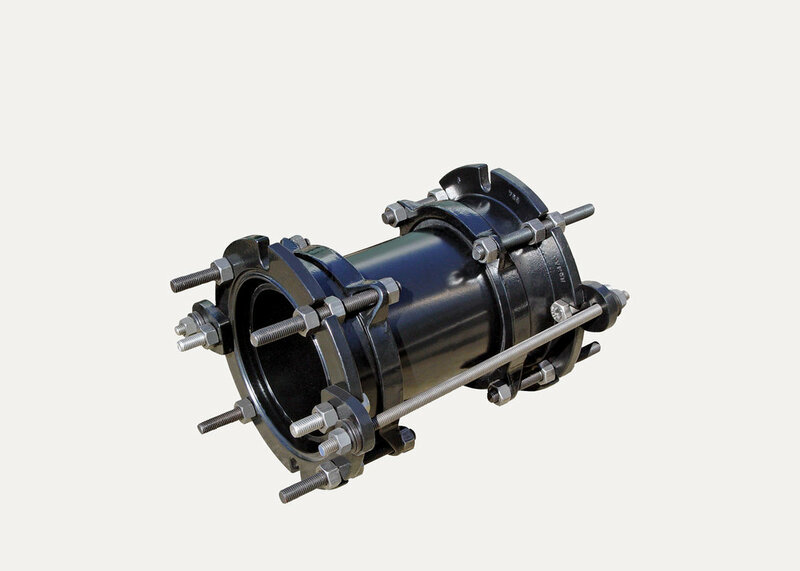 SPOOL ASTM A53 STD WGT class pipe, pipe stops available, see product submittals. END RINGS AND BODIES See product submittals. GASKET Compounded for water and sewer service. Meeting the requirements of ASTM D 2000. Other compounds available on request. BOLTS, NUTS AND SPHERICAL WASHERS ASTM A588 HSLA bolt material. Stainless Steel, Types 304 or 316 is optional. TIE RODS High tensile steel per ASTM A193 grade B7. Stainless steel, type 304 or 316 is optional. HARNESS LUGS ASTM A36 steel, coated with fusion bonded epoxy. COATINGS All steel and ductile parts are coated with fusion bonded epoxy, NSF 61 certified.